Are you building your dream home? You’ve probably spent months planning the layout, materials and interior design. But have you thought about the garden? A beautiful garden can be your ultimate statement piece. These modern garden trends are popping up everywhere and can help give your new home that ‘wow factor’. Outdoor dining spaces are usually close to the backdoor. This makes travelling from the kitchen to the table quick. But lately, designers have literally pushed the boundaries, by moving the outdoor eating areas further into the backyard. A more immersive dining experience is created when the alfresco dining area is further away, as it allows guests to see more of your garden. Surrounding the area with lush plants and using special flooring, roofing, lighting and furniture creates a dinner party sanctuary you’ll never want to leave. Nothing draws the eye quite like a feature wall. It acts as art for your outdoor area. Feature walls can be used to break up spaces and provide boundaries separating different parts of your garden. Perhaps you want to create a dedicated area for a fire pit? Or highlight a water feature? Whatever the purpose, feature walls are a trendy addition to any backyard. Check out this red feature wall for inspiration. It creates warmth and adds energy that cannot be achieved with plants alone. Eco-landscaping means using plants that don’t require much watering. Examples of eco-friendly plants including types of grasses and succulents. Not only is saving water great for the environment, it’s also going to save you a lot of time and money in maintenance. But that doesn’t mean this type of gardening looks cheap. It’s quite the opposite, actually. The textures and geometric shapes that can be created using grasses and succulents can be very striking. Throw out everything you thought you knew about garden maintenance. According to the practice of wabi-sabi, your garden is better left untouched. Wabi-sabi is a Japanese practice dating back to the 15th century. It involves accepting the natural cycle of growth, decay and death. Instead of pruning overgrowth plants, replacing rusting gates and blowing away fallen leaves, wabi-sabi means leaving it as it is. The idea is to enjoy the natural beauty and imperfections of your garden. To introduce wabi-sabi to your new garden, choose plants that will change over time and with the seasons. Mindfulness is an ancient Buddhist practice that involves being present in the moment. It has become popular in recent years, not just in the gardening space, but in mental health and workplace wellbeing. Bring mindfulness to your garden design by incorporating plants and other outdoor elements that’ll stimulate the senses. Different colours have different effects on the body. Try using blues in your garden design to create calm, or plant bright yellow plants to energise the space. You can also evoke feelings through smell and sound. 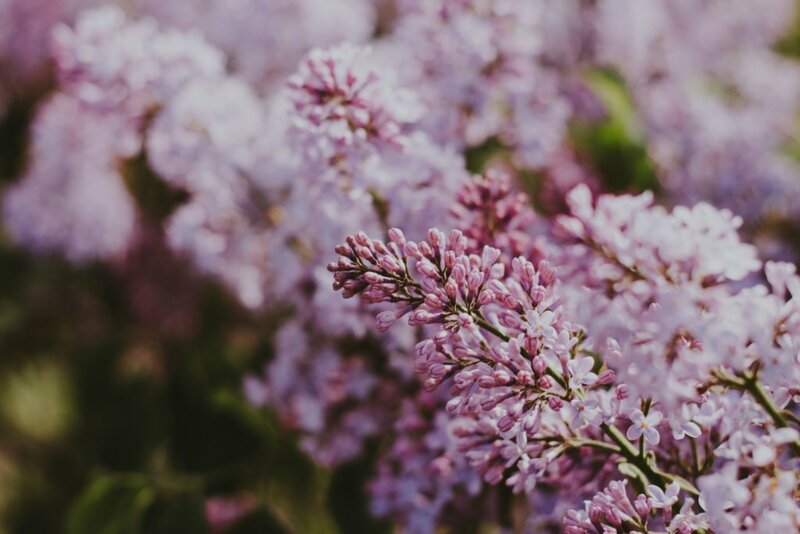 Try planting lavender for strong smells, or include a water feature to create a relaxing ambience. This is a trend that’s been around for quite some time now. But it’s not going away any time soon. In fact, as they become more popular, many owner builders take outdoor rooms into consideration when designing their dream home. An outdoor room mirrors the functionality of indoor spaces with features like daybeds, kitchens, showers and more, with the benefit of fresh air. They’re particularly popular in Australia due to our love of outdoor living and barbequing during the summer months. The best plants to choose for this area are those that require minimal care like Mother-in-Law’s Tongue, Devil’s Ivy and Dragon Tree. Gone are the days of using only traditional or native plants. Now it’s all about creating interesting shapes and textures with a variety of plants. Succulents and cactus plants have become a popular plant choice for outdoor spaces due to the architectural structure they can provide. But they can be difficult to hunt down in local nurseries, so if you’re looking for an interesting statement piece for your garden, like an Agave Americana or blue cactus, you might need to do some planning and research. You can also get funky and interesting shapes in your garden by pruning your hedges into cloud and sphere shapes. Again, many Australians are taking advantage of the warmer climate by introducing rooms that blur the boundary between outdoor and indoor spaces. An indoor/outdoor space means opening up your exterior-facing rooms and creating a flow between the two spaces. This can be achieved by using large glass windows and doors, drawing people between the two spaces naturally. You can create a seamless flow between the indoors and outdoors by bringing outdoor elements inside. Using wicker furniture, wooden floors, plants and organic materials inside helps to create a seamless flow to the outside. The extreme naturalism trend is similar to wabi-sabi. It celebrates an organic and overgrown look. We’ve experienced a long period of minimalistic garden styling, where everything is small, neatly pruned and symmetric. So this new overgrown trend is quite a big change. People are starting to move away from clean lines and concrete. They’re returning to natural materials like rocks and boulders, and allowing hedges to grow for a more natural look. The beauty of this trend is it’s also less maintenance work for you! A beautifully-designed garden can be a key feature of your home. If you’re looking to build a house, check out Kitome’s guide to customising your home. Kitome offers flexibility in designing your dream home, giving you a choice from over 50 designs – so you can pick the right home for you and your family.